Hmmm, well, I don’t know about you, but I’m stuck beyond ‘She’s very pretty, I like the pictures…’ and that’s about all I have. However, for my birthday, the inestimable Mr Walker bought me Oswald Doughty’s A Victorian Romantic and there, in the plates, was a photograph of Miss Alexa Wilding. 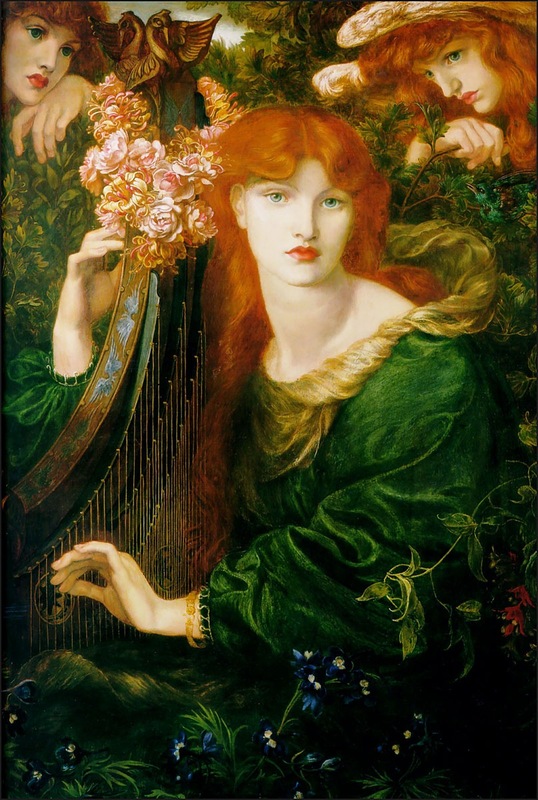 It’s not a big picture, or an outrageously clear picture, but it is a picture of one of the most important models in Rossetti’s artist career. 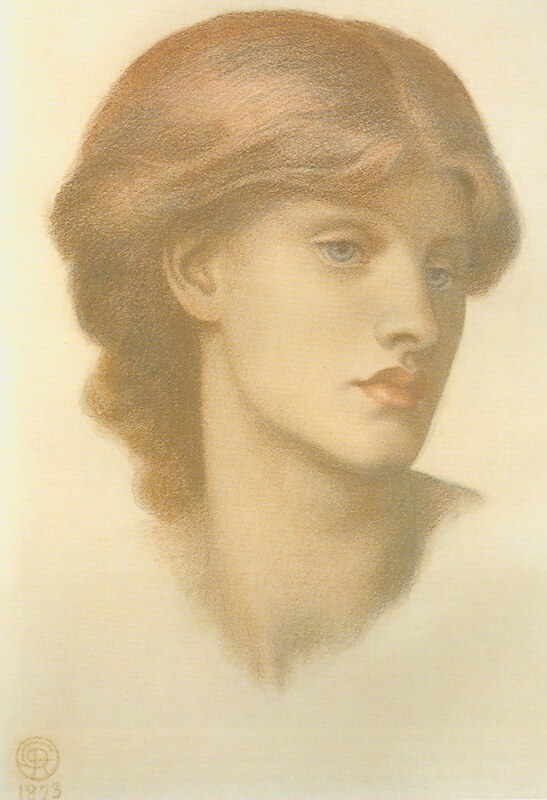 According to the research of Jennifer Lee (I urge you to seek out her thesis on line), Alexa sat for more completed works than any other model, he painted over the features of Fanny Cornforth with Alexa’s more commercial face, and she managed to embody all things for the artist, from goddess to demon and all points in between. Was it seeing the photograph that made me finally realise that Alexa was a real person beyond Rossetti’s view of her? Very little is actually known about her: Rossetti approached her in the street and she didn’t turn up to the sitting so when he saw her again he made her come with him to the studio; he paid her a weekly retainer in order to have her exclusively; she went to Kelmscott and sat for paintings; she visited Rossetti’s grave; and finally, she died young. So, here are things we don’t assume from the above facts: When he approached her in the street, it is not assumed she was a prostitute. He paid her an amount of money each week, but she was never seen as a drain on his resources. 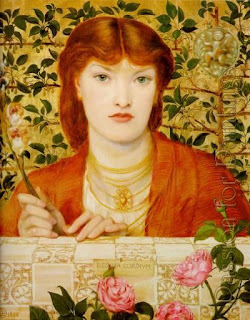 She went to Kelmscott, the ‘secluded love-nest’, but never is it assumed she had an affair with Rossetti, even though she made the effort to travel to Birchington to lay flowers at his grave. Yes, I am slightly bitter on behalf of Fanny, but I find it fascinating that Alexa’s reputation remains untarnished, in fact unknown, while everyone else’s is dragged back and forth through mud and glitter. A possible reason for this is Alexa had only one person in Rossetti’s circle who felt strongly about her. His assistant Henry Treffry Dunn was in love with her, and she managed to remain pretty much unnoticed by everyone else beyond being his model. Rossetti described her in one infamous letter as being so very dull he wished he could shut her in a cupboard when she wasn’t modelling, so she was generally seen as being no threat to Rossetti’s equilibrium. Seeing the photograph made me wonder though, about her life, and her relationship with Rossetti, about what she wanted out of her existence. All we have at present is her beautiful face, staring out from so many canvases. She is the last undiscovered country of Rossetti’s main models, possibly not for much longer (hurry up Jennifer Lee, write your biography), but I will leave you with a couple of teasers, being the gossip that I am. How, on her allowance from Rossetti, did Alexa manage to afford a decent house that she lives in and possibly owns in 1881, and was she really the mother of Charles and Nellie Wilding who are listed as living with her (as her children) in the same year? Hmmm, I feel an opinion coming on…. Very interesting! 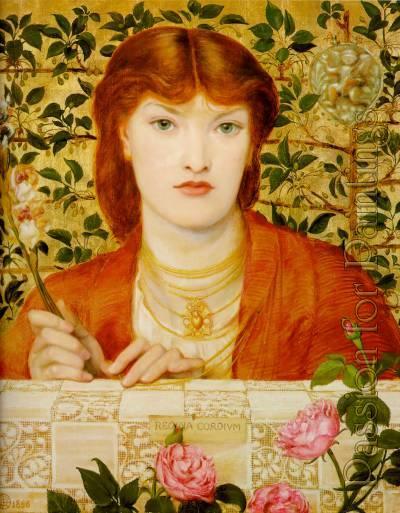 I was wondering about Alexa.. she seemed to be the least discussed (and apparently least liked by Rossetti). Very beautiful indeed though. By the way, I'm really enjoying your blog! This post made my day! I've liked Alexa for years, and always thought she was overlooked. It's great to actually see her photograph and read about her! Thanks. Splendid ! - So much unknown - perhaps children of uncle . .
Are you of the family Wilding? I know that Charles and Nellie went to South Africa but would love to know what more they took of their mother. I wonder if they ever met Fanny Cornforth's stepson? Why do Stunner's kids run off to South Africa I wonder?! 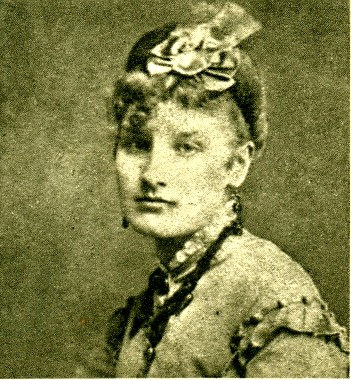 After her death Alexa's body was discovered by George Edward Shelly. Alex was never married - as far as we know, but GES was the children's benefactor and paid for their emigration and education. There are further links with the Shelly's in the names of her children were also the names of close relatives of GES. The Shelly's were quite well off, and as a model mixing with PRB Alexa would have made the acquaintance of many of patrons. However, we do not know how they met, reference is made by members of the Rossetti household to Alex's lover, but they are not named. Alexa wasn't only paid as a model, she was also paid for the costumes used in the paintings, nevertheless it was still a great expense for her to travel down to Brighton (i think) for Rossetti's funeral. Alexa's line are still around. I may be the last Charles James Wilding, but there are plenty of other Wilding's that are descended from her in South Africa. My parents know a great deal more, some rumoured some suspected and some factual. James and Lorna Wilding are currently sailing in Malaysia. Many thanks for taking the time to comment! She is a mystery that is for sure. I think she was one of the only models that made the journey to Birchington in Kent to visit the grave even though she was not in the greatest of health (with the splenetic tumour). I am currently also speaking to another member of the family and after spending so many years researching Fanny Cornforth (who didn't have any descendants) it's nice to research a model who does! There is a lot of material on Alexa/Alice and her family in the notes and appendices of The Correspondence of Dante Gabriel Rossetti, Volume 6, ed. W. E. Fredeman, 2006.